Aluminium prices have started to fall amid concerns about the rising production levels of Chinese manufacturers. The benchmark aluminium price on the London Metal Exchange hit a six-week low of $1.866 per tonne on June 21st, as market data revealed that exports from China have grown. The price had hit a 27-month high of $1,981 in March. China exported 460,000 tonnes of unwrought aluminium and aluminium products during May 2017 compared to 430,000 tonnes in the previous month, as its manufacturers increased output. The result was a sharp rise in inventories in London and Shanghai approved warehouses. It is believed that Chinese manufacturers have taken advantage of a dip in energy prices to maximise production volumes ahead of anti-pollution measures set to come into force in November. The planned action is expected to result in a significant cut in aluminium production and lower exports, which is likely to force up prices. Meanwhile, demand for materials in the UK may be set to rise in the coming months, as two recent studies revealed signs of growth in the manufacturing sector. The IHS Markit/CIPS Purchasing Managers’ Index for May was 56.7 (any figure above 50 represents growth), with the data showing an expansion of production and new orders, with demand from both domestic and export customers up. Duncan Brock, Director of Customer Relationships at the Chartered Institute of Procurement & Supply, welcomed the Index’s findings, but warned that manufacturing buyers would have to work hard to ensure the availability of sufficient materials to meet demand. “These continuing levels of expansion have taken their toll on supply chains, as purchasers reported lengthening delivery times and sourcing difficulties for a number of key materials,” he explained. The latest CBI Industrial Trends Survey saw manufacturing firms report that both their total and export order books had strengthened to multi-decade highs in June. It also found that UK manufacturers expect output to continue to grow in the coming quarter. 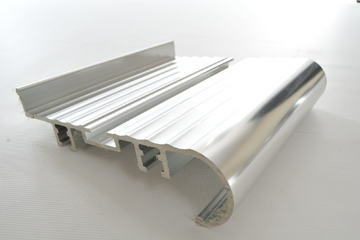 Contact Multi Metals for more information about aluminium extrusion and sheet supply, and how we could help to improve availability of materials for your production process. 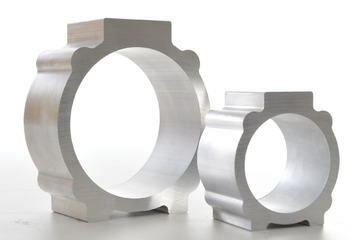 The primary reason manufacturing companies use aluminium stockholders may be for assistance in sourcing high-quality materials, but there can also be some important financial benefits in long-term supply partnerships. The primary aluminium price hit a 21-month high on the London Metal Exchange during February 2017, as demand for the metal continued to grow.